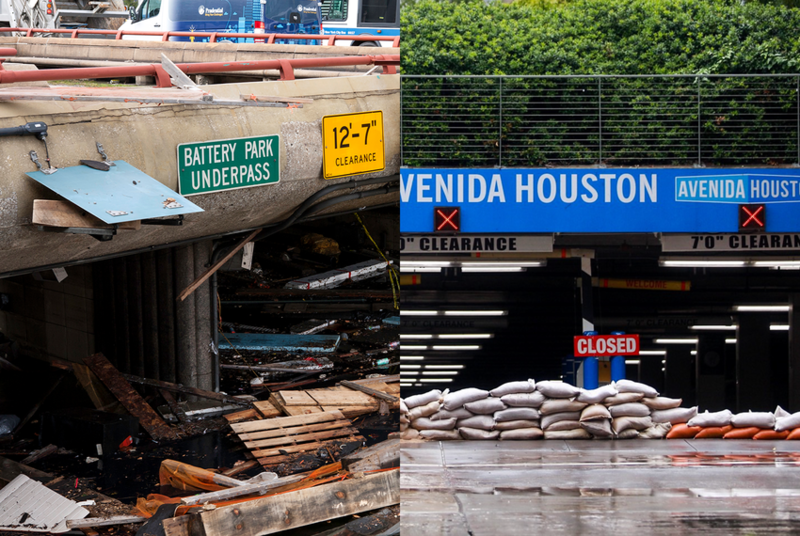 Several members of Congress from New York and New Jersey remain resentful over Texas Republicans that voted against a Hurricane Sandy aid package in 2013. For some, the list is on a physical paper or bookmarked on a computer. For others, it's merely tattooed into their brains. It consists of which colleagues voted against Hurricane Sandy funding back in 2013, and it’s chock full of Texas Republicans. Israel served in the Democratic House leadership in 2013, and his comments reflect numerous conversations happening within both the New Jersey and New York delegations since Harvey landed in Southeast Texas over the weekend, sparking widespread devastation and flooding. Back in early 2013, Congress easily passed a massive funding package to support the victims of Hurricane Sandy, a storm that hammered the northern Eastern Seaboard just before the 2012 election. Yet it galled many members from the region at the time that Republicans representing coastal states like Texas that are also susceptible to hurricanes would not back the bill, citing spending in it viewed by some as pork-barrel spending. "Hurricane Sandy inflicted devastating damage on the East Coast, and Congress appropriately responded with hurricane relief," said Cruz in a statement at the time. "Unfortunately, cynical politicians in Washington could not resist loading up this relief bill with billions in new spending utterly unrelated to Sandy." Both Cruz and his fellow senator from Texas, John Cornyn, as well as every Texas Republican in the U.S. House save for John Culberson of Houston, ultimately voted against the Disaster Relief Act of 2013. Yet Cruz – often viewed as the most brash of the Texas delegation – has become the favorite target in recent days of current and former Northeast members gleefully noting that the shoe is now on the other foot. Democratic U.S. Rep. Kathleen Rice, concurred with her Long Island neighbor an hour later on Twitter. Even New Jersey Gov. Chris Christie joined in. "The congressional members in Texas are hypocrites," Christie told reporters Monday. "Even though I'm sure there's going to be some temptation by New Jersey House members in particular to drag their feet a little bit based upon what these folks in Texas did to us during Sandy, I'm going to be urging all our members to rise above that and provide the aid as quickly as possible." That U.S. Rep. Bill Pascrell offered some of the more measured criticism of the Texas delegation, remarkable considering the fiery New Jersey Democrat's reputation for rumbling with Republicans at any opportunity. Cruz called the commentary “political sniping” in a Fox News interview Monday. When asked if Hurricane Harvey had changed his mind about his stance in 2013, Cruz stood by his vote. But Israel countered that what Cruz and others might consider as pork "was significantly vital to rebuilding our region." The Washington Post's Fact Checker dug into Cruz's latest remarks on Monday and ruled that "it is wildly incorrect to claim that the bill was 'filled with unrelated pork.' The bill was largely aimed at dealing with Sandy, along with relatively minor items to address other or future disasters." Privately, several sources close to Texas Republican members echoed Cruz’s comments about wasteful spending but did not want to speak publicly about the issue. But also, there was a sense that many in Texas were startled to see such anger from Northeast members of Congress while the rain still fell in Houston. And some northeastern sources in Congress bristled some at the timing of the angry tweets and comments, given the suffering in Texas. And not everyone is mad at the Texas GOP delegation. U.S. Rep. Leonard Lance, R-New Jersey, had no interest on Monday in engaging in the regional political war. And U.S. Rep. Carolyn Maloney, a New York City Democrat, tweeted: "I'm praying for anyone suffering from Hurricane Harvey & stand ready to support any federal assistance needed." Congress returns on Tuesday and will have a whole host of new problems to sort out, on top of a slew of budget deadlines barreling toward the two chambers. Is there a chance that the Sandy vote will come back to haunt Texas? The bipartisan message blowing in from the Northeast: Congress will deliver the funds to Texas. While there is no interest in punishing fellow Americans, these members do want those in Congress from Texas to know just how personally they took those "no" vote when their own constituents were in trouble four and a half years ago. “New Yorkers made the argument that when a storm strikes, it’s not striking one region, it’s striking the whole country, and I think my colleagues will be faithful to put their [voting] cards in and pushing the button,” said Israel.